Happiness can be elusive, but it's one thing we all want from life. If you're looking to be happier, you could change your job, adjust your sleep patterns, eat a well-balanced diet or start getting more exercise. Of course, you could always download an app too. Here we offer an amazing proposal of positive psychology app that could be quite helpful and useful for those who wants to change their lives and take care of their mental well-being. We gladly want to introduce you the Positvt App that is perfect for people who are struggling with depression and battles with negative thoughts & mood in their day to day life. This positive thoughts app is great supporter and motivator to take control of your life and stay on the track to build your life in positive, happier and healthier direction. Especially, this is a tracker and journal app that will remind you of the brighter aspects of life that we are forgetting in this fast and stressful era that we are living in. It will shift your attention to the positive thinking patterns and will reprogram your system to healthier uplifting lifestyle habits. Sounds great, doesn’t it? 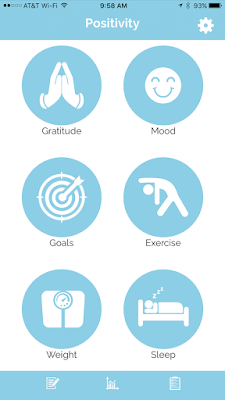 Positvt App includes 6 track parameters like gratitude, mood, goals, weight, exercise and sleep habit. The app will show on graphs your daily progress in each sphere, which you can share it on social media if you want to motivate and influence others to change their life. 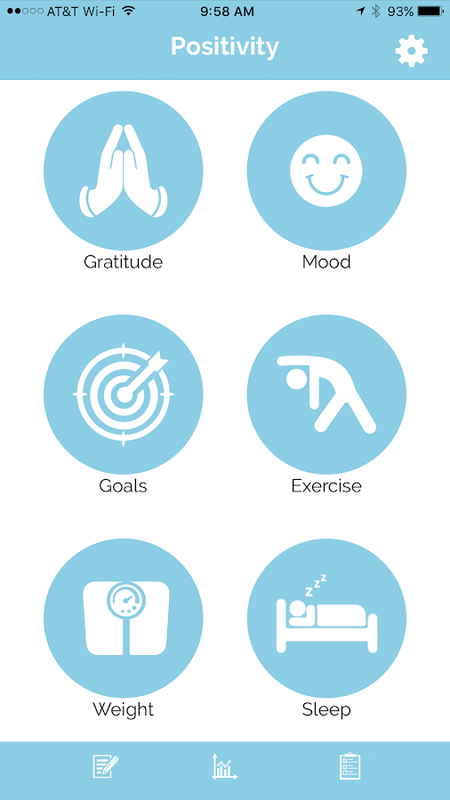 If you find this amazing positive psychology app useful, then start using it daily. Download it on Play Store or App Store for free, or visit the official website for more info. Check it out now!